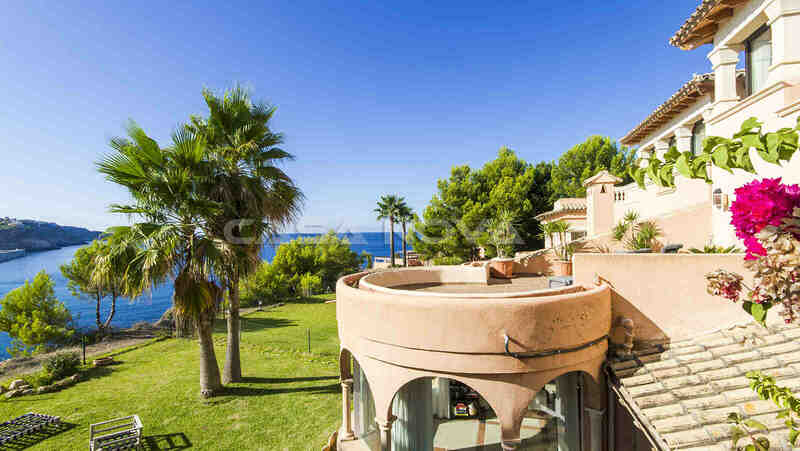 Real Estate Mallorca : This fabulous luxury villa offers fantastic views to the port and the sea. 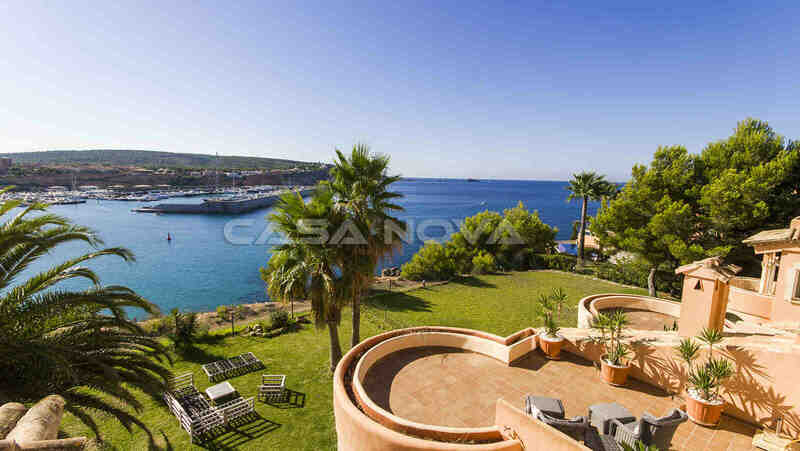 It is located in one of the most sought after residential complexes of Mallorca in Nova Santa Ponsa. This spacious villa with approx. 455 m2 of living space is built on a plot of approx. 500 m2. On the ground floor are a bright living/dining room with direct access to the garden with its automatic irrigation, 1 bedroom with bathroom en suite, 1 guest toilet, a modern equipped open kitchen with direct access to the basement and the garage. 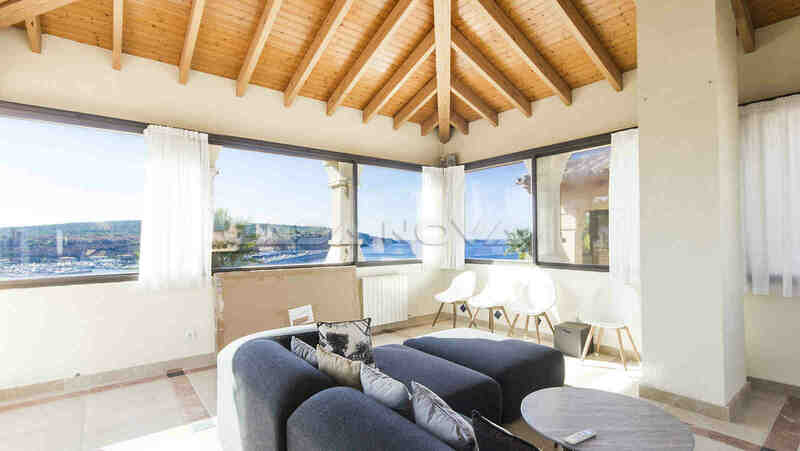 On the whole floor you can enjoy a fantastic sea view and views to the marina of Port Adriano. 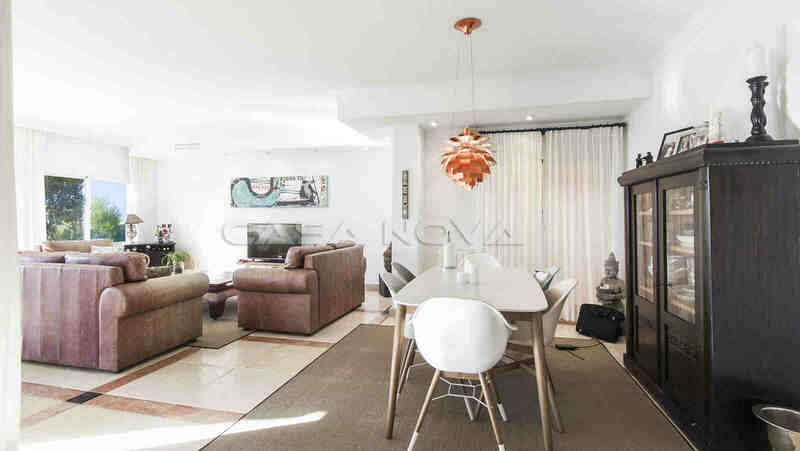 On the upper floor there are 3 more bedrooms and 2 bathrooms one of the bathrooms is en suite. 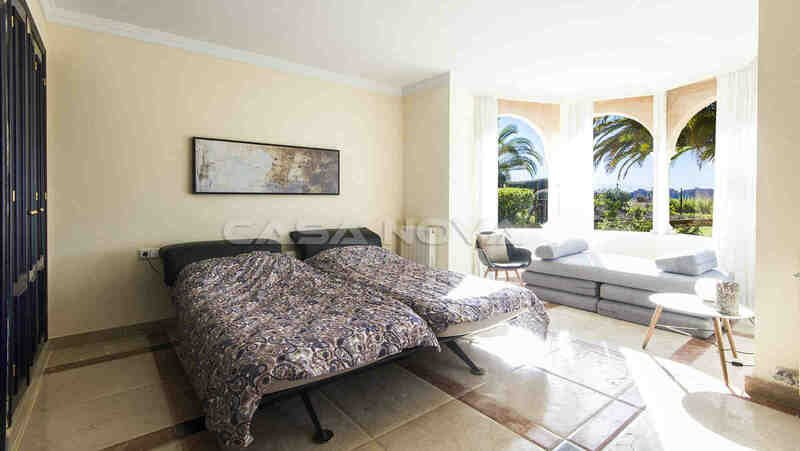 All bedrooms have access to a spacious terrace with a stunning sea view. 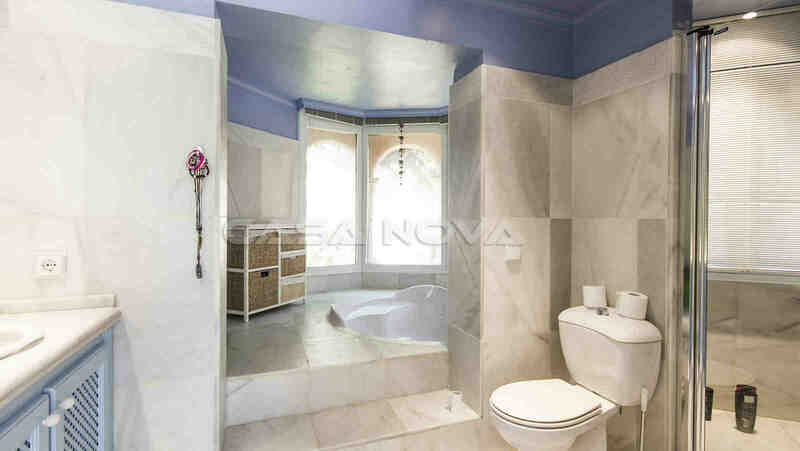 The villa consists of an optimal combination of modern and Mediterranean style. 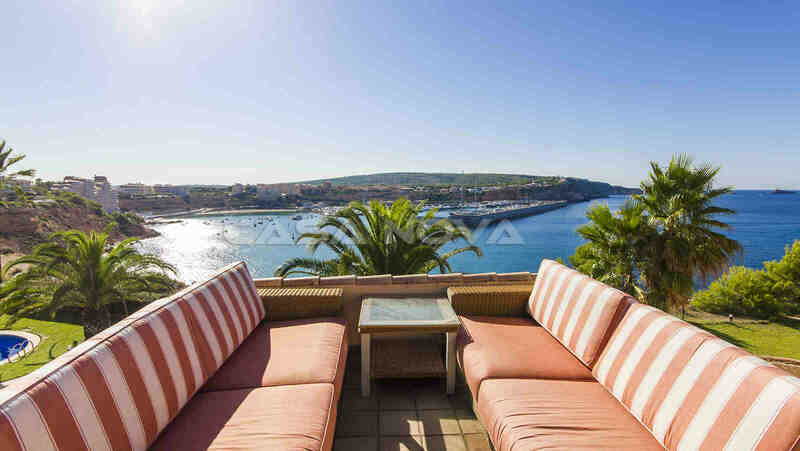 It combines the advantages of a completely detached villa with the advantages of a property in a residential complex. The residential complex offers a large communal pool. 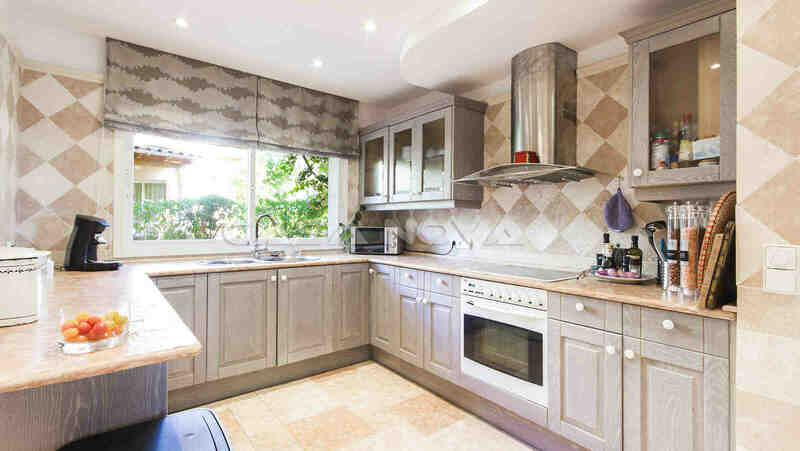 Further features : air conditioning h/c, double glazed PVC windows, intercom, alarm system, SAT TV, ADSL, utility room, storage room, office, cellar and a garage for 4 vehicles. 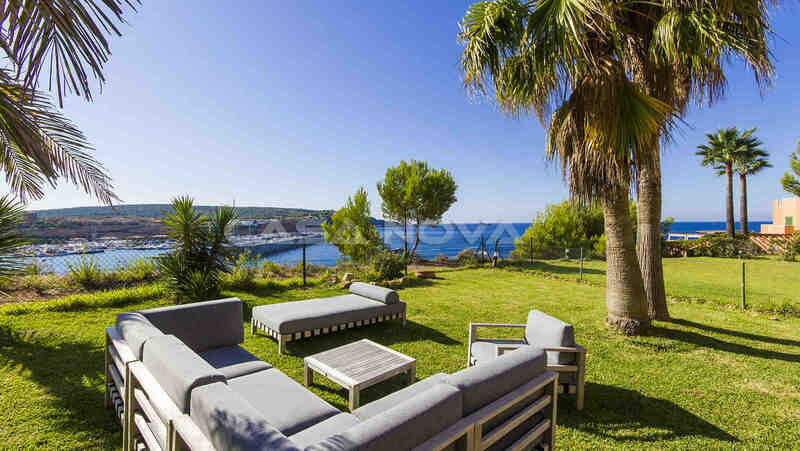 Due to the central location in Nova Santa Ponsa you will find all amenities in close proximity. The Nobel Marina Port Adriano is just some minutes away. 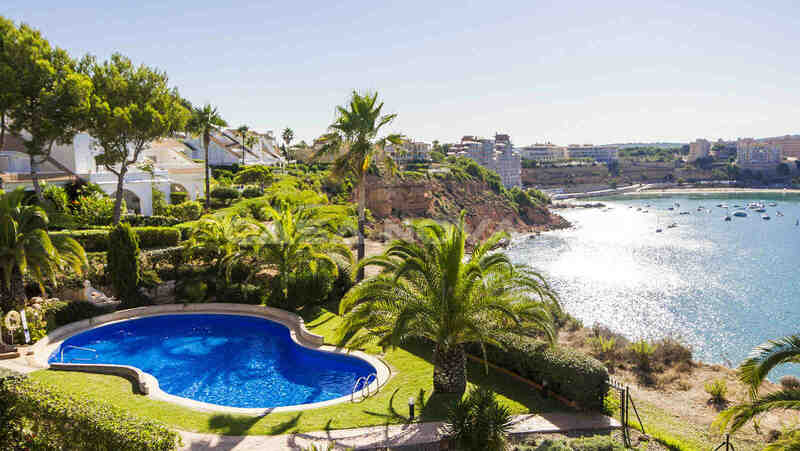 Santa Ponsa is also only a few minutes by car. There are 4 golf courses just beside. The capital Palma de Mallorca can be reached in about 20 minutes by car. The international airport of Mallorca is about 25 minutes`drive away. 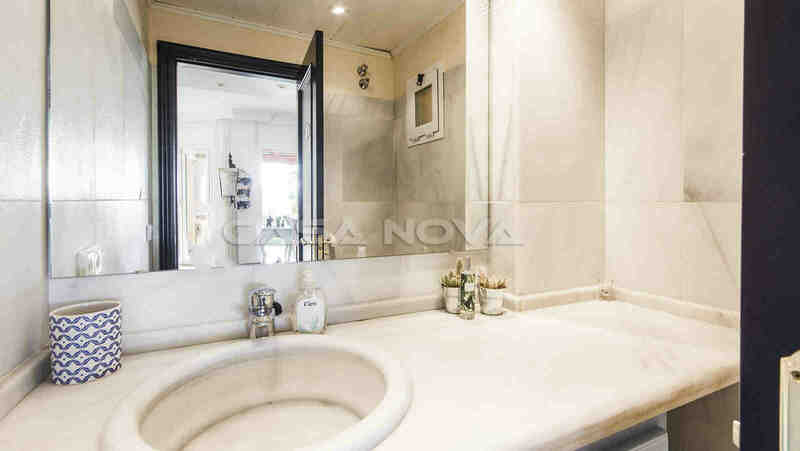 For more information, please contact Casa Nova Properties your real estate agency Mallorca in Santa Ponsa. There are no brokerage fees for the buyer.